The organ was built by Henry Speechley and Sons (established 1860) at the Camden Organ Factory, St Mark’s Road, Dalston, London. 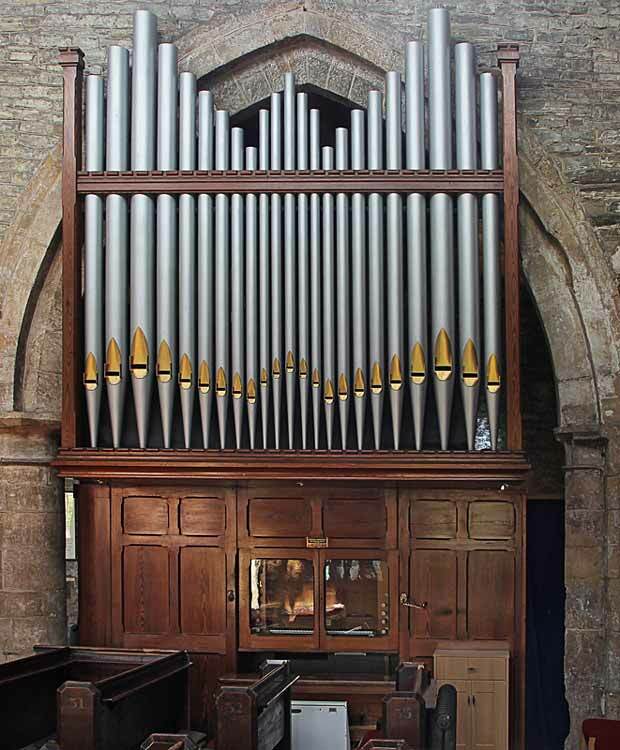 It replaced an earlier organ of c1860. First erected in the Meering chapel in 1911, it was moved to its present position at the west end of the south side of the nave in 2008 by Henry Groves and Son, Nottingham. The organ, described as having ‘a good rich tone’, is currently maintained by Jonathan Wallace of Henry Groves and Son, who kindly provided the following specification.